WSL balances challenging academics with the joyful celebration of holidays and festivals. 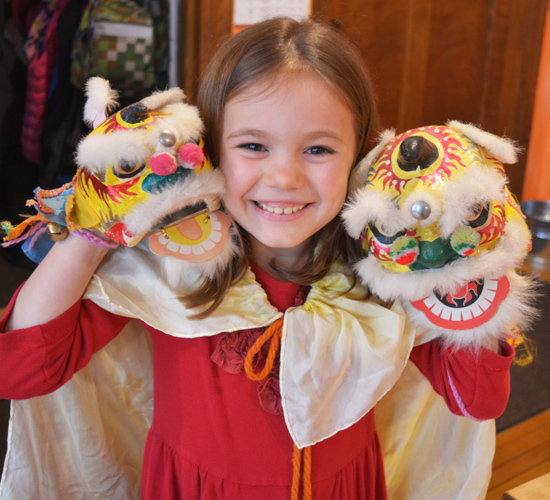 Second graders recently performed a dragon dance in honor of Chinese New Year. Much has been written about the stress students face in school today, including last year’s poignant New York Times profile on Lexington. By 2015, anxiety had overtaken depression as the most common mental health diagnosis among college students, and according to the spring 2017 National College Health Assessment, 60% of college students felt “overwhelming anxiety” in the past 12 month. Adults, too, have been swept up by our race-to-succeed culture. A recent Harvard Business Review article suggests that we have become a nation of workaholics who cannot power down and give our brains a rest. The authors corroborate the idea that this trend begins early—from academic benchmarks that start as early as preschool (they are in full swing by kindergarten), to parents pushing high school students to succeed at the expense of sleep. At WSL, students often work collaboratively, while teachers offer personal attention and support. Rewind to last year when my daughter was an 8th grader at the Waldorf School of Lexington. Concerned that perhaps she did not have enough homework to prepare her for the rigors of high school, I approached her class teacher, Helena Niiva. Ms. Niiva is an experienced Waldorf teacher who is currently leading her fourth class of 8th graders. “I expect all my students to work up to their capacity during school,” she explained. “They need time outside of school to digest what they have learned, relax, do something other than homework." Sounds just like the Harvard advice to try hard, stop and recover, then try again. In Waldorf parlance, this concept is broadly referred to as balance. In a 7th grade science class, students try to solve the engineering challenges of building a bridge. This STEM activity is collaborative, hands-on, thought-provoking, and yes, fun! 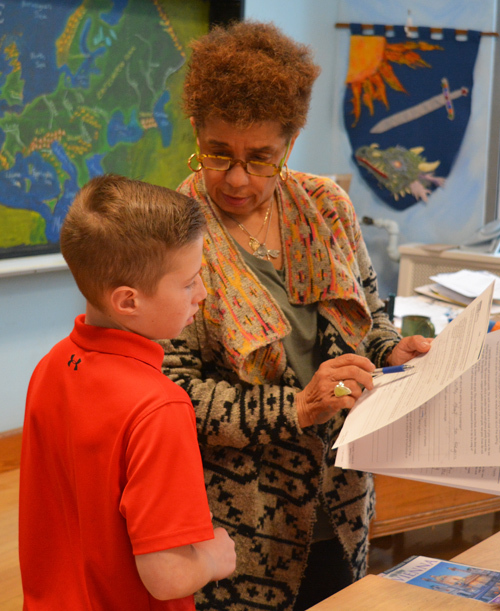 At WSL, the relationship between teacher and student is of paramount importance to the learning process. Teachers truly know their students as individuals and support them in their educational journey. Balance has been a hallmark of Waldorf education since long before resilience became a buzzword. The Waldorf curriculum balances academics with the arts and time outdoors. The Waldorf emphasis on healthy child development balances school work and homework with adequate downtime. Waldorf team sports begin in middle school, helping to keep the focus on collaboration rather than competition during the elementary years. Instead of grades, Waldorf uses narrative assessments, which foster a student’s intrinsic motivation to learn. In every way, the Waldorf curriculum is designed to produce engaged, independent thinkers whose love of learning is not squelched by stress and pressure. Today’s social scientists are now catching up to what Rudolf Steiner knew 100 years ago—that the true key to success is not how early you learn to read or how many AP classes you take, but how well you can maintain balance. 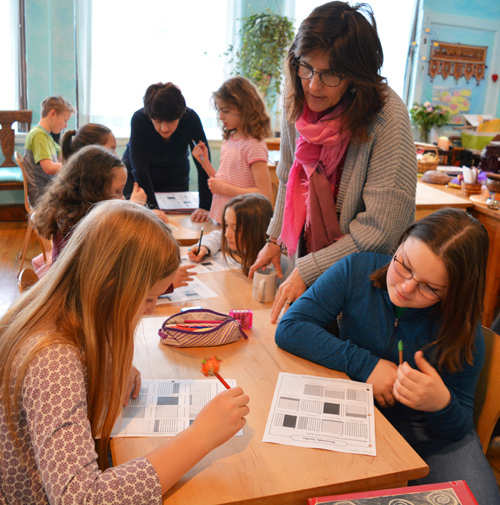 In today’s world, that is not an easy task, but with a Waldorf education, kids are off to a great start.